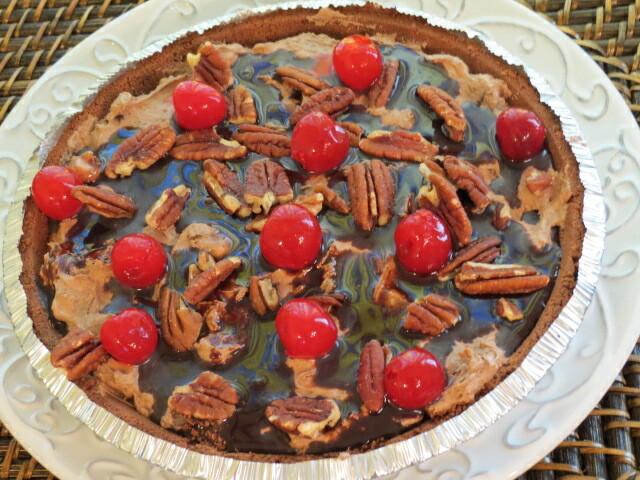 My grandchildren and I experimented with different fillings and crusts – Double Chocolate Pie with Pecans and Pistachio Pie with White Chocolate Chips & Walnuts became our favorites, so I’m posting those two recipes today. There are so few ingredients used to prepare these pies that you might be a bit surprised – – a box of instant pudding, 1/2 cup milk, 8 oz. 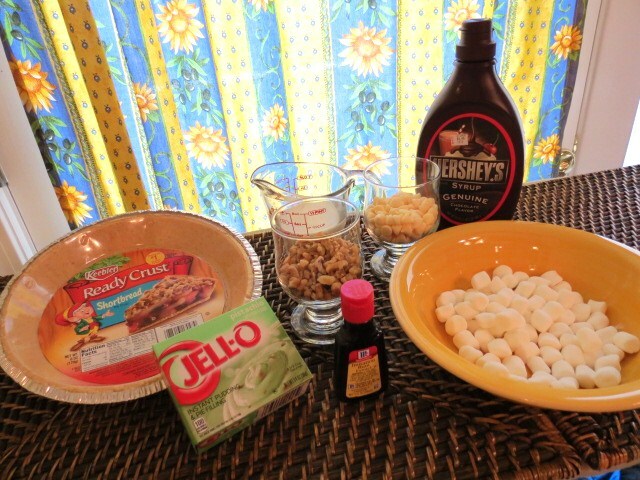 of whipped topping (such as Cool Whip), 1 cup of mini-marshmallows, the chips and either vanilla or almond extract. 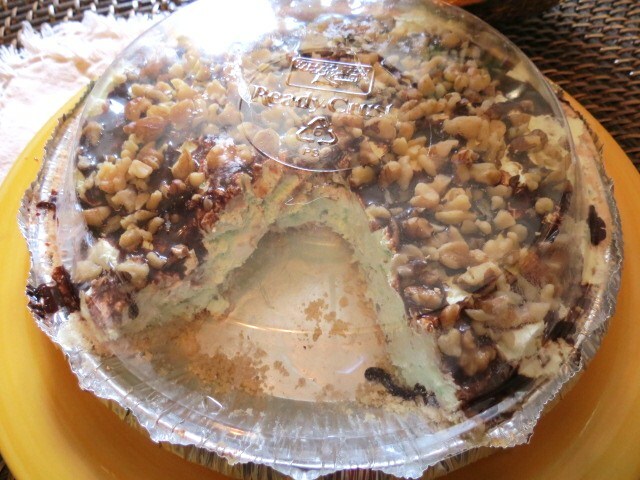 You just mix everything together, pour into a purchased no-bake pie crust, sprinkle with nuts and drizzle with chocolate…. and there you go… an almost instant pie! My grandchildren and I sampled our pies almost immediately – and they were delicious, but we discovered the pies were even better refrigerated for a few hours. But who wants to wait – these pies are ready to serve after about 20 minutes. Using these simple recipes as a base, I hope you experiment and find your own favorite no-bake pies. And don’t forget to share your ideas! In a medium bowl beat 1 box pistachio INSTANT pudding, 8 oz. Cool Whip, 1/2 cup milk and 1/2 tsp. almond extract for about 45 seconds. 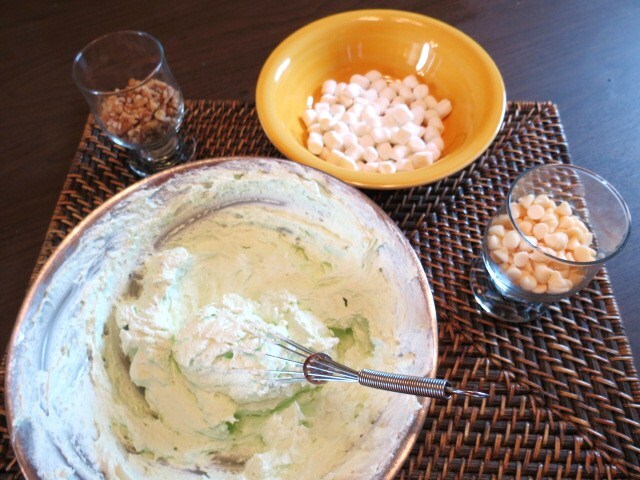 Stir in 1/2 cup white chocolate chips and 1 cup mini-marshmallow. Spoon pie filling into pre-made shortbread crust. Pour on some chocolate syrup. 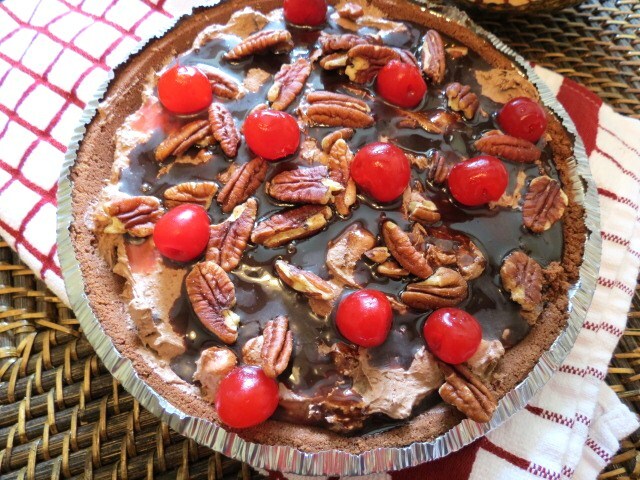 (I think I got carried away when pouring the chocolate syrup on both pies today!) Sprinkle on 1/2 to 3/4 cup chopped walnuts. ++ To make it really easy, purchase chopped walnuts!! Refrigerate pie for a short time – 20 minutes will do it, although overnight is even better. But who can wait that long – NOT ME…. ++ Use the cover provided with the crust if you’re transporting the pie! 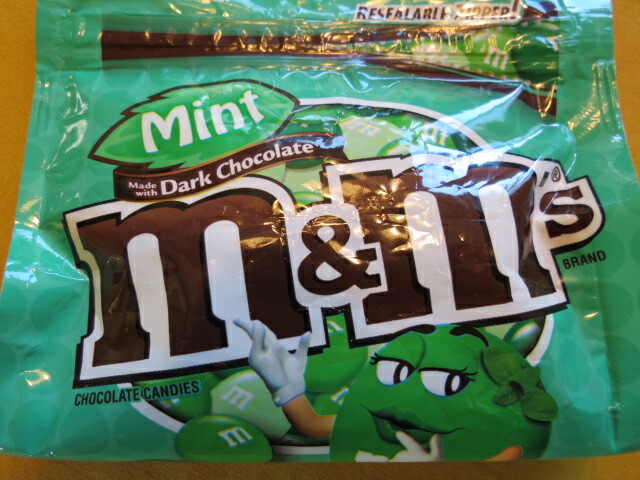 ++++ For Double Chocolate Mint Pie – add 1/2 cup CRUSHED Mint M&Ms instead of the 1/2 cup mini chocolate chips! In a medium bowl beat 1 box chocolate INSTANT pudding, 8 oz. Cool Whip, 1/2 cup milk and 1/2 tsp. vanilla extract for about 45 seconds. 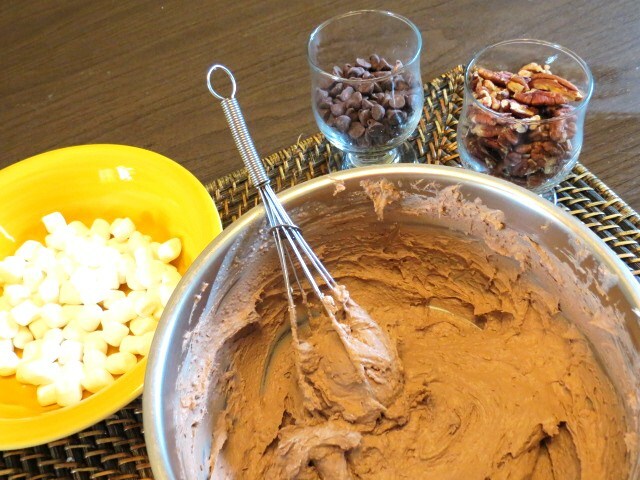 Stir in 1/2 cup mini chocolate chips and 1 cup mini-marshmallows. Spoon pie filling into pre-made chocolate crust. Pour on some chocolate syrup. (I usually use a crisscross pattern but today I went a little wild the the chocolate syrup!) Place 1/2 cup or so pecans on top, then 11 – 12 Maraschino cherries. I love no-bake pies. They are so easy to make and I don’t have to worry about switching on the oven. 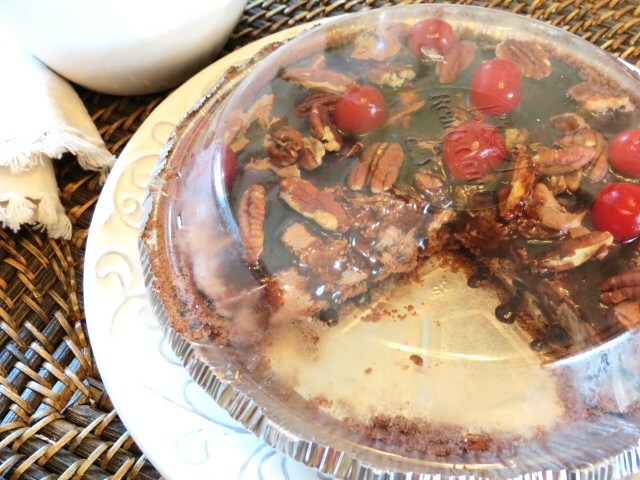 I would go for the double chocolate pie with pecans. Sounds delicious! 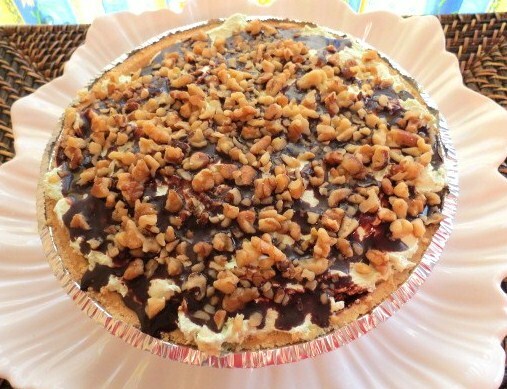 Hi Liz – I’m with you on the chocolate pie – it’s almost decadent! Craving a really big piece of this beautiful pie! I can never say no to a chocolate crust! I’m with you on that ! The pies are so good – and so easy! They’re a great thing to make with kids. Recently I began taking my grandchildren (the two who live locally) every Tuesday afternoon. We hang out at my house for a while – then we head over to my sister-in-law’s for swimming and a BBQ. 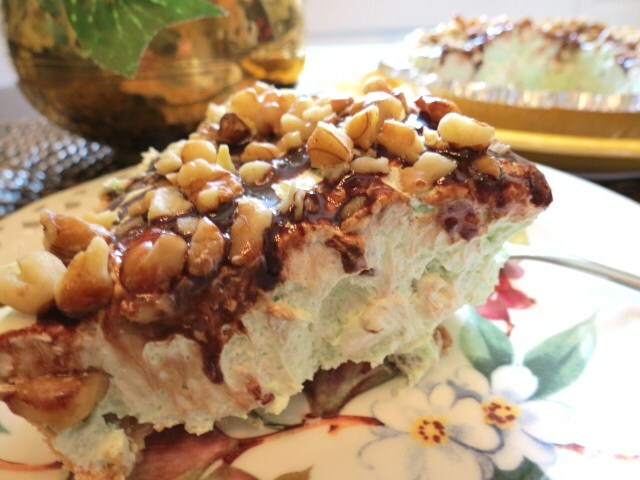 Recently we made the pistachio pie and I had my son (their father) take it home. When I saw him place it on the floor of the car (the pie was covered) I thought, “Bye bye Pie” because I knew he’d forget it. Now – when I ask him about The Pie…. he changes the subject! Decadent is the word that came to my mind, too. Decandent (in the best way) and easy! That’s a winning combo and I know your grandchildren must LOVE spending time with their grandma and sharing these pies. Since I’m going to be a grandmother as well, I’m going to save these recipes for the day when I can cook with the grand kids!!! Thanks!!! Congratulations!! You’re going to be a fabulous grandmother!! As far as experimenting, well, that’s not going to happen. I’ll just check back here periodically to see what great ideas your adoring public have submitted. Scrumptious is about the only word I can think of to describe how these pies look! Good thing it is bed time or I might be whipping up a couple of pies! I will probably dream about them tonight and tomorrow I’ll still be drooling! Who wouldn’t want a big piece? Not me!!! So glad you liked the recipe – I was super excited about how good there turned out!! You are EXACTLY right ! You sure don’t need a super big piece of either pie because they’re so rich. I just gave a half of each pie to my neighbors – and I couldn’t believe how heavy the pies are ! !